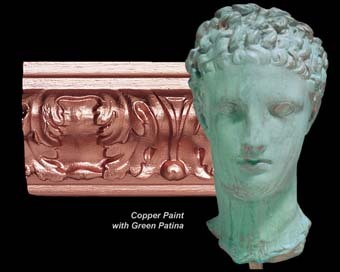 Paint Store :: Shop by Brand :: Modern Masters :: MODERN MASTERS 14901 ME149 REACTIVE METALLIC PAINT COPPER SIZE:1 GALLON. AMERICAN LINE 66-0371 SNAP OFF BLADE SIZE:13 PT PACK:50 PCS. WOOSTER 1840 WORK HORSE POLY BRISTLE BRUSH SIZE:8" PACK:4 PCS. MINWAX 13333 SATIN POLYCRYLIC SIZE:1 GALLON.